Nice colors. the fall is coming now. Good compo, great colors. Very, very nice! This is a great shot. I like the way you’ve used differential focusing within this composition. I really love that pic – good composition! really nice shot. especially i like the reflection in puddle…. Excellent! This is a beautiful autumn picture. This ones beautiful! The focus point goes perfectly along with the narrow DOF. I agree. The colous are lovely! What a great shot, the colors are so rich. 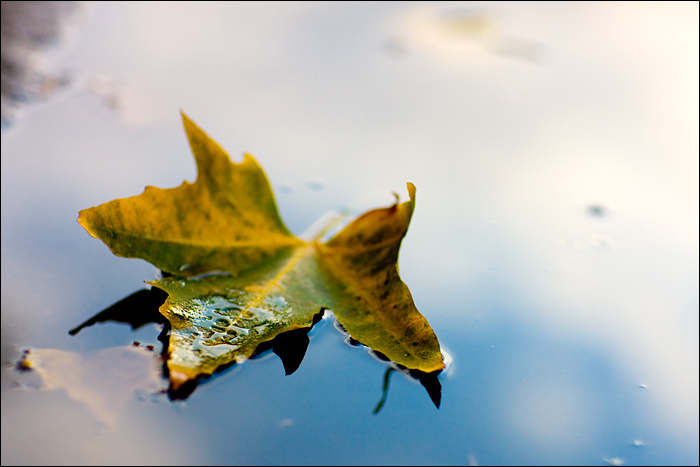 I like minimalist autumn shots. Nice one. Haven’t taken any myself this year (yet) though. Can we purchase these photographic works? I will right away grab your rss feed as I can not in finding your e-mail subscription link or e-newsletter service. Do you have any? Kindly permit me realize so that I may subscribe. Thanks.